I love cookbooks. I’m not huge on making up my own recipes, but I love others…I love reading cookbooks, planning meals, thinking up various occasions to cook for people. As of today, these are all the cookbooks I have. Tofu Cookery (TC): dude, it’s pictures alone are hysterical. Plus Isa says the “meat”balls in this book are fab. I will make them…soon! Vegan Planet (VP): Variety of recipes from all over the world. I love the Flax Berry pancake recipe in here. Lots of choices to please any plate and also for various dinner party themes! 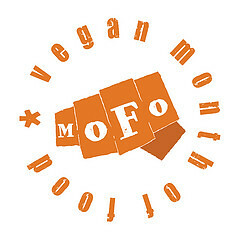 Veganomicon (V’Con): I like this one for “fancy” meals. Trying to impress those Omni friends & fam, you’re sure to find recipes to please in here. I cooked up Easter dinner from this baby! The Kind Diet (KD): I just bought this, everyone says it’s awesome…I still need o find out. My Sweet Vegan (MSV): Also, I just bought this. I’ve flipped through it, I have a list of things I want to make…yum! Viva le Vegan (Vive): This book is great. It offers many ways of making recipes gluten-free and also has an entire index on raising vegan children. This is my go to book for my fudgy brownies too. My secret revealed! Joy Of Vegan Baking (JoVB): This book is amazing. I have made several recipes from here. Everything has been wonderful! 30 Minute Meals (30minV): Originally for The BF, but he hates cooking, so I took it. I’ve made a few, this is nice form quick weekday/night meals – as long as you plan ahead and have your ingredients. Vegan Brunch (VB): My go to cookbook for all things breakfast. Seriously amazing book. I love the Chocolate Beer Waffles..actually, I love everything. Vegan with a Vengeance (VwaV): My first vegan cookbook. Great for newbies, all around amazing. I heart Isa! Vegan on the Cheap (VOTC): My current obsession and part of my Cooking My Way Through project I’m just getting underway. So far, everything is easy and affordable. Love it! Vegan Cookies Invade Your Cookie Jar (VCIYCJ): I just bought this, got Isa autograph and everything. Cannot wait to start making cookies! The Chicago Diner (CD): I couldn’t say no to the Diners book…but I can’t remember if I’ve actually made anything from it yet. I just had to have it! Please Don’t Feed The Bears (PDFTB): Given to me by a friend (thanks Mark!). This book is amazing for weird combination’s and variety of recipes. They have one that involves a slow-cooker, tator tots…need I say more? It’s awesome! The (Almost) NoFat Cookbook (ANF): Given to me by a friend, I have yet to make anything, but much like Tofu Cookery…the pictures are just too funny! Vegan A Go-Go (VGG): I got this book for when I travel and it has come in handy to help me eat when on the road in the lesser vegan friendly areas of the country. Thrive: Great for vegan athletes, easy recipes and just in general great information! The Face On Your Plate: Truly inspiring. I’m serious, the detail behind it is amazing, references for everything, and it provides an unbiased explanation on everything in the meat industry (At one point he even say’s he doesn’t want to convince you to be vegan, but rather provide you with information to make your own choice). It makes me want to be a animal rights advocate. In some chapters I was in tears. Great book.